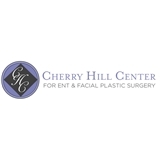 Cherry Hill Center for ENT&Facial Plastic Surgery (Cherry Hill) - Book Appointment Online! The Cherry Hill Center for ENT & Facial Plastic Surgery specializes in the medical and surgical treatment of pediatric and adult ear, nose and throat disorders, including but not limited to, hearing and balance disorders, endoscopic sinus surgery, head and neck surgery, otolaryngic allergy testing and immunotherapy, sleep apnea and snoring, and facial skin cancer. As a board certified Otolaryngologist-Head and Neck Surgeon, Dr. Scott L. Busch delivers comprehensive medical and surgical, patient-center evaluation and treatment, as well as preventative therapy for all ENT problems. Dr. Busch is also a fellow of the American Academy of Facial Plastic and Reconstructive Surgery. Utilizing his years of expertise, excellent surgical skills, and knowledge of the intricacies of the facial anatomy he is able to create facial harmony and function, which is key to obtaining pleasing results in facial plastic surgery. Our center is also home to our Hearing & Balance Center, Sinus & Allergy Center, and MediSpa. Our medical staff includes nurses, audiologists, and skin care specialists who all are of the highest professional quality and dedicated to providing excellent patient care. The Cherry Hill Center for ENT & Facial Plastic Surgery has helped improve countless lives by helping patients hear better, breath better, feel better and look better. We hope that we can be a part of making a difference in your life too. We were not happy with having to fill out the paperwork at the time even though we already filled out the paperwork online. I think that the patients fill out the paperwork online or in the office only.